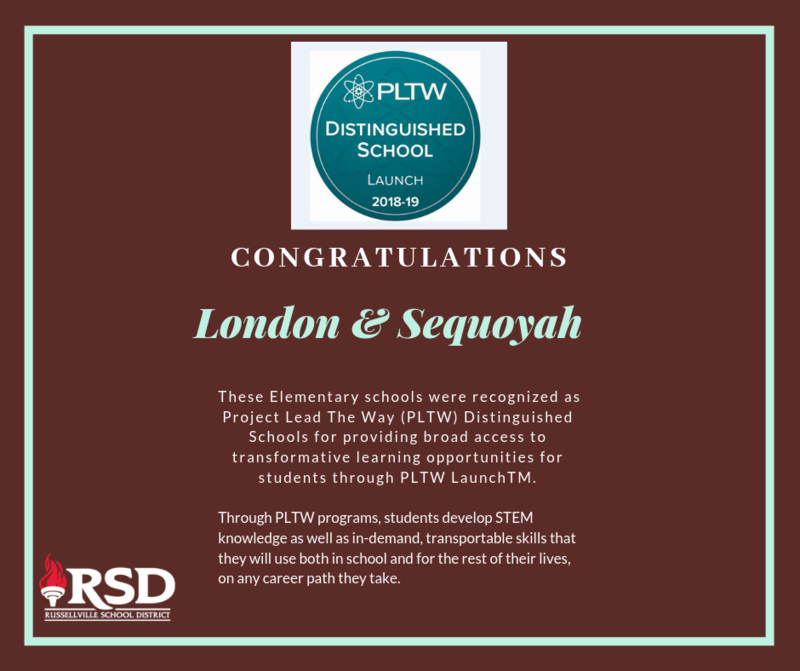 RSD announces that London and Sequoyah Elementary and Russellville Junior High School have all been recognized as Project Lead The Way (PLTW) Distinguished Schools for providing broad access to transformative learning opportunities for students through PLTW LaunchTM. There were 214 elementary schools across the U.S. to receive this honor, and two of only eight elementary schools in Arkansas were in the Russellville School District! PLTW is a nonprofit organization that serves millions of PreK-12 students and teachers in schools across the U.S. 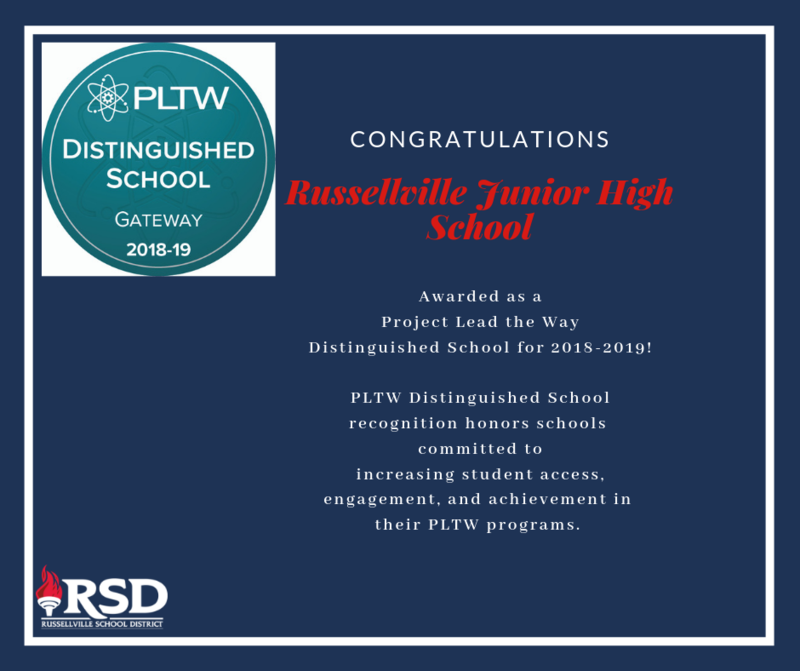 The PLTW Distinguished School recognition honors schools committed to increasing student access, engagement, and achievement in their PLTW programs. To be eligible for the designation, Each school had to offer at least two PLTW Launch modules at each grade level and have more than 75 percent of the student body participating during the 2017-18 school year. London and Sequoyah Elementary and Russellville Junior High School are all part of a community of PreK-12 schools, colleges and universities, and corporate and philanthropic partners across the country united around a passion for providing students with inspiring, engaging, and empowering learning opportunities. For more information about PLTW’s recognition program, visit pltw.org/our-programs/program-recognition.